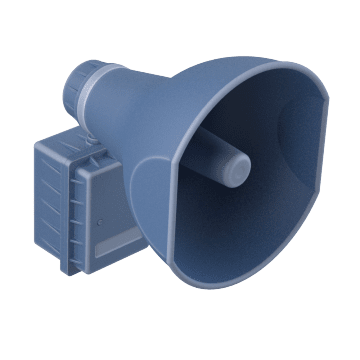 Attach an amplified speaker to a tone module to create a custom warning system that lets you broadcast warnings over large distances. They are loud enough to be heard outdoors or in large, noisy spaces. 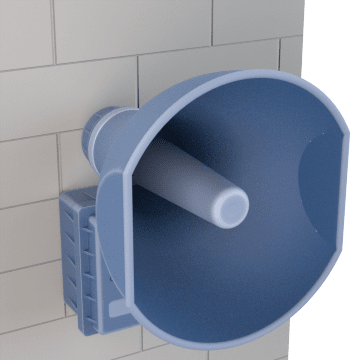 Connect these amplified speakers to a tone module or public address system to project digital alarm tones or messages over a large area. 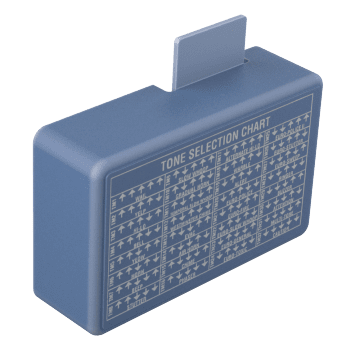 Create a variety of steady or intermittent tones and signals with these tone modules. Set dip switches to determine the length and type of signal produced, and then attach the module to compatible speakers to broadcast the tone.